LINGAYEN, Pangasinan – In celebration of the 28th National Statistics Month (NSM) 2017, the provincial government of Pangasinan held the Jingle-Singing Contest for high school and college levels at the Provincial Employment Services Office recently. Provincial Board Member Noel C. Bince of the 6th district, who serves as this year’s NSM steering committee chairman, formally opened the month-long fete during the regular flag-raising ceremony on October 2 at the Capitol grounds. Focusing on this year’s theme: “Figures for the Future: Realizing AmBisyon Natin 2040 through Statistics” (Estadistika para sa Hinaharap: Ambag sa Pagtupad ng AmBisyon Natin 2040), students in the province of Pangasinan were inspired to compose a piece embodying the objectives of the NSM which are to promote nationwide awareness and appreciation of the value of statistics and to encourage massive participation in improving the statistics in the country. BM Bince expressed his appreciation to the different line agencies of the national government, particularly the Department of Education (DepEd), provincial government and local government units (LGUs) who are actively participating in the said celebration. For the secondary level category, Bryan Ray De Leon, Joshua Aren Dangoy, Rayvien Ballesteros, Judielle Cabiles, Allysa Baldemoro, Nicole Anne Molina and Angeline Soguila of Calasiao Comprehensive National High School (CCNHS) emerged as the champion after their musically-inviting and audience-appealing performance while the runners up were: Speaker Eugenio Perez National Agricultural School composed of Geneva Flores, Jasmin Joy Taan, Donna Bell Peralta, Kent Mark Posadas, Jamaine Hangsitang and Anthony Martinez; and Urdaneta City National High School with Rosemarie Carino, Nap Axcel Carino, Eoji Menor, Cassilyn Mose, Audrey Guillermo, Precious Patria and Michaela Paiste. 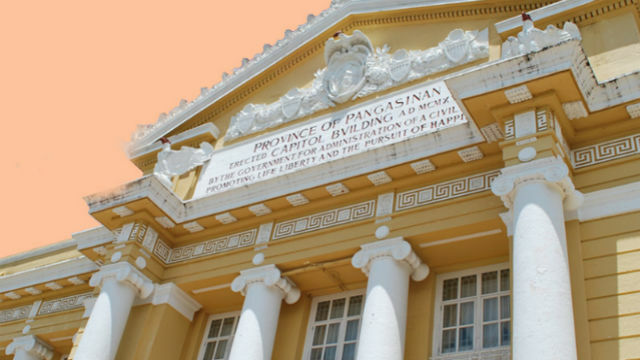 Meanwhile, Pangasinan Accountancy and Science School (PASS) College of Alaminos City which includes Ralph Kevin Solas, John Michael Narag, Jenica Navarro, Karen Luminos, Marge Caranay and Denielle Cacuray bagged the championship in the college level, while Pangasinan State University – Bayambang with Mark Justine De Guzman, Desiree Mones, Nelson Ancheta, David Jonathan Cadosales, Jamaica Gante, Jessie Glenn Peralta and Melanie Junio was proclaimed as the 1st runner up. Winners in the provincial jingle-singing contest will advance to the regional level to be held on October 5 in La Union.